One of the longest proven successful ways to get good leads as a real estate investor is calling on For Sale by Owner (FSBO’s) listed properties. In my experience, I have found great success in helping FSBO’s with their situation while at the same time buying discounted real estate. If you are on a budget and just getting started then you can do this yourself, or if you can at all afford it, I highly recommend you hire someone like a virtual assistant to do it for you. Why Are FSBOs Good Leads? Often times homeowners who place their house on the market without a realtor ( FSBOs), are in a position where they need to sell a home quickly. When this happens, you are able to help them by closing quickly with cash, while at the same time, you receive a great discount. There are many reasons a homeowner might need to sell quickly. Some are trying to avoid getting behind on payments, some are already behind on payments, others need to immediately move to new location for job, some received a property gifted through probate, may be experiencing illness or maybe the landlord doesnt want to own a property for rent any more, etc. Whatever the specific reason a person doesnt utilize a realtor and place their property for sale on the MLS, Craigslist, Kijiji or even EBay, it is likely there is an opportunity for you to get a great wholesale deal. Where Do You Get FSBO Leads? The first step is to locate the properties not listed on MLS, however for sale by the owner direct. How do you do this? 1. Classified Ads Online: There are several online classifieds such as Craigslist.org or Kijiji.ca or backpage.com and many others. Its so easy to search the internet for this stuff¦.just type your city properties for sale by owner; see what comes up in the Google and Bing search engines! What Do You Do Once You Have The Locations For Leads? A. Grab a copy of the FSBO magazines offered for FREE in grocery stores. These could be great leads as someone is paying a lot of money to put their house in a magazine. I view this as sign that the owner could be a motivated seller. B. Go the websites of newspapers and look at their classified section online. You can put these links in your favorites. You will want to check the FSBO sections in these resources daily. If there is a good real estate deal for sale, it will be sold quickly to the person who acts quickly ” You! 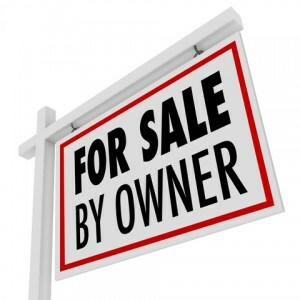 What Do I Look For In A FSBO Deal? This is a list of those you will want to contact to find out more about the property and the sellers situation. If using paper (like a newspaper in hand), you will want to mark the ads with your sharpie or highlighter as you are scanning the paper for those motivated words listed above. Mark as many ads as you can! It is better to have too many leads than too few. If online- – -copy and paste the ads found on newspaper, classifieds and FSBO sites to a word or excel doc, then print it out. Remember having too many leads is a good thing as it keeps your options open. Tamera Aragon is a professional online entrepreneur and has bought and sold over 300 properties, establishing her as an expert in the real estate investing field. Since 2003, she has purchased over 10 million dollars in real estate and currently holds properties all over the world. Tamera’s focus is on the booming Foreclosure market, buying Pre-foreclosures, REOs and Short Sales. Tamera who is a noted Author, Success Trainer, Speaker & Coach, shows her passion for helping others with the 17 websites she has created and several specialized products to support fellow investors throughout the world. When Tamara is not busy running her website, she is very involved with her Fiji joint ventures and investments. Tamera Aragon is one of the few trainers and coaches who is really “doing it” successfully in today’s market. Tamera’s experience has earned her a solid reputation in the industry as well as the respect and friendship of many of the top national real estate investment and internet marketing experts. Tamera Aragon believes her success has garnered her the financial freedom to fully enjoy her marriage and spend quality time with her children.